Ready at Dawn has added a different kind of game to their repertoire. From going to games such as the God of War games on PSP, Daxter, and The Order: 1886 to their newly released title, Deformers. A multiplayer-only brawler where you take control of ball-shaped creatures called Forms that can roll, jump, dash, and absorb items. There are numerous game modes from Deathmatch, Tam Deathmatch, and Form-ball which is like Rocket League. After completing games you are given currency which can be used to buy different Forms and accessories to dress up your Forms with. Most of which actually are really cool/funny. You can dress up a hamburger with a bow and futuristic glasses. Can't get better than that right? WRONG. YOU CAN UNLOCK A PUG IN THIS GAME. Which is immediately what I went for and purchased after I got enough currency to purchase. The best quality this game has is it's physics. Just moving around is really cool to see how the forms flatten once you land after a jump or get hit. After playing this game for roughly 6 hours it hurts to say that the game got boring really quick. 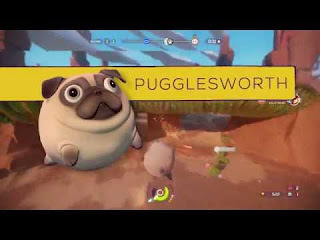 Honestly, if it wasn't for the pug skin I wouldn't have even clocked in that much time on it. The gameplay is very boring and doesn't give you any fulfillment. Deathmatch and Team Deathmatch were fun for a few hours but got really boring after that. Even the Form-Ball mode misses its mark. It's a poor man's Rocket League. Once you score a goal it shows a mini replay while you continue rolling around attacking each other and wait for the ball to drop again. It feels like there is no real direction. In this game mode you are also able to grab the ball and roll right to the goal. Which is kind of dumb and while you can still knock the ball off of them it still doesn't help when aiming is atrocious. Depending on the system you're playing may hinder on your experience too. If it's PC, I'm sure you know about the terrible connectivity issues they've been having. PlayStation 4 and Xbox One haven't had terrible times getting into games, but once you get into the games the lag takes over and ruins the experience. When the lag isn't plaguing your game which is a rare occurrence, it's still frustrating since the controls aren't as smooth as they could've been. 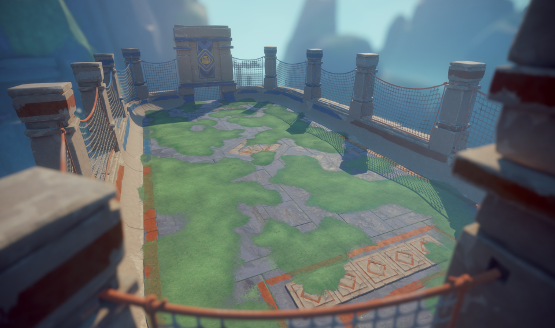 On the plus side though the maps look really good and the different classes (Ranger, Striker, Guardian, Marksman, and Speedster) can give a different twist to the game and could better suit your play style for a more enjoyable experience. I really wanted to like Deformers. I've been looking forward to it's release for awhile now. Now that it's here after a delay to improve it; it is basically trash and it's upsetting. It hurts Ready at Dawn as well, since the flak they got for The Order: 1886 (which I enjoyed but I only paid $20 as opposed to the original $59.99). 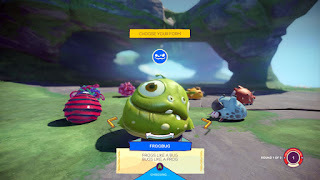 Deformers is only going to hurt their reputation further. The worst thing about this though? This game is $29.99. That's way too much. Even if the game functioned properly it shouldn't be this much. Hell, even $19.99 is pushing it. Like I said above, it's trash. Don't buy it. You'll see it for free on Xbox Live Gold and PlayStation Plus soon.